Today, my protective stop for Ezra was trigger at $0.55. 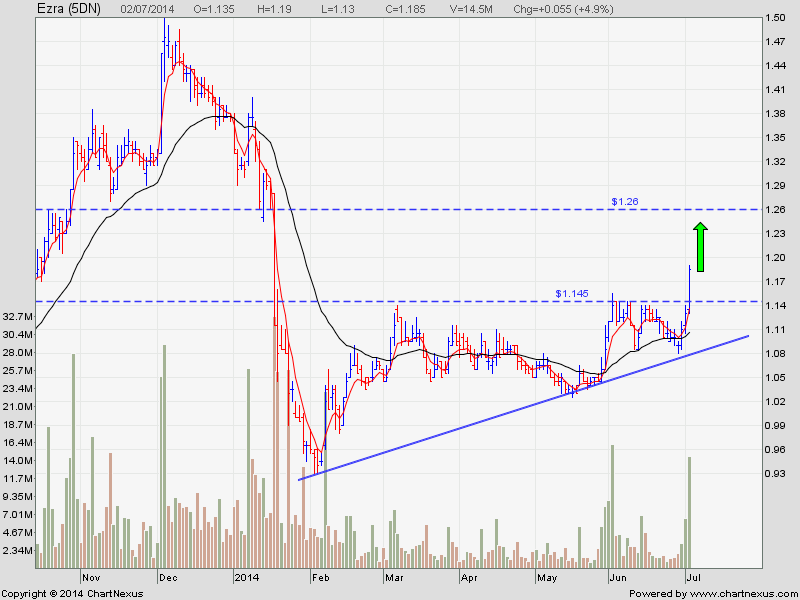 This stock call was posted here on 17/11/14. 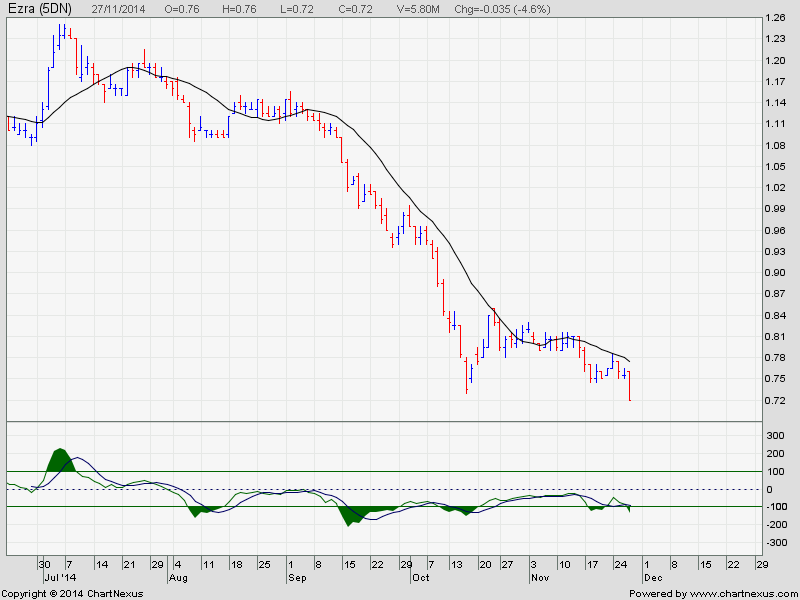 I am still holding on to my short trade on Hyflux, waiting for my protective stop to be triggered to collect profit. Hyflux was posted on here on 12/11/14. Some people use income/dividend investing to receive dividend from their stocks once or twice year. 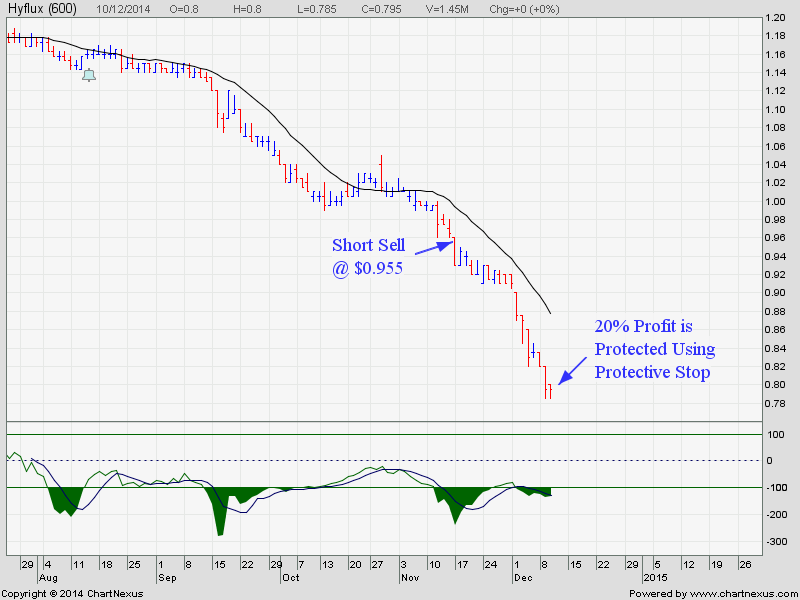 I shorted dead stock to receive dividend everyday. Dead stocks are everywhere and can easily be found in the market or in this blog. They are being dumped by BBs and Traders and the chances of them being alive are very slim. Hence, there is no need to fear these stocks. Yet people chose to waste their time and effort to hunt for ideal dividend stock that give them high dividend and when the market is down, they lost money on the share price. The best part is, some even buy these dead stock because they are cheap! Have you ever see a person going to an aquarium shop to buy a dead fish or going to a florist shop to buy a dead plant? No wonder Warren Buffett said that there is a perverse human characteristic that like to make easy thing difficult. I totally agree with him. Another dead stock for shorting. Enjoy the ride down. 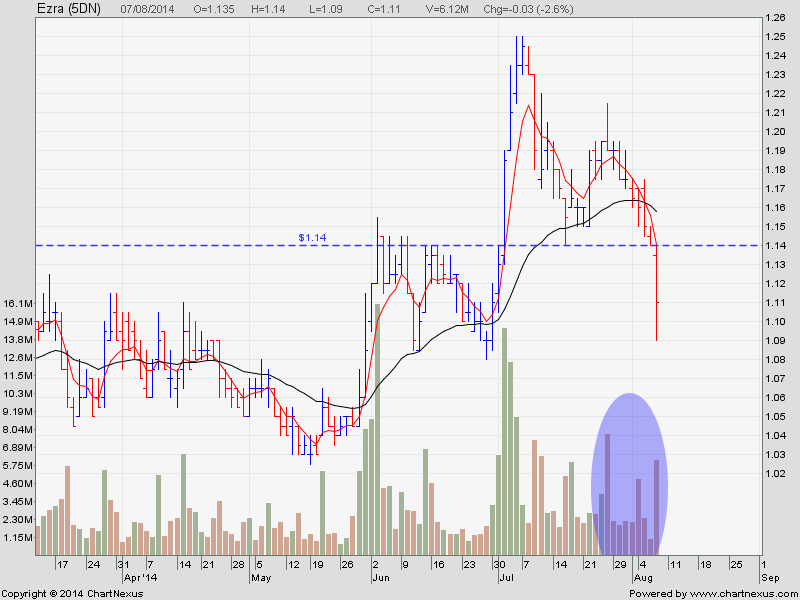 Ezra has been going through a fierce sell down since 25/7/14. It had broken the support at $1.14. I am going to piggyback on this selling wave by shorting this stock. 1)US and European market are still extremely bearish. Although currently STI and Hang Seng are still well supported, the continued selling in the west may bring down Asia market. 2) Watch out for Jaya. It is attempting a breakout. 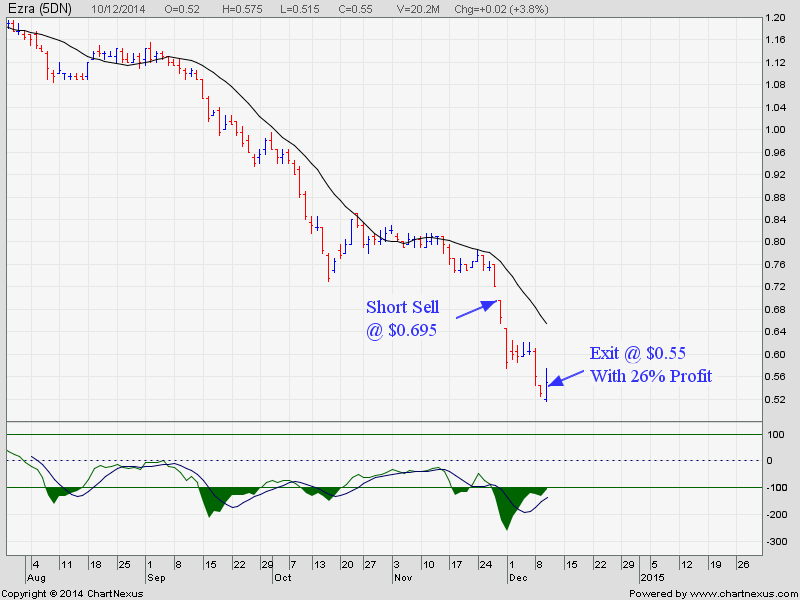 3) Today my short position on Swiber entered on 5/8/14 has given me a good profit. This is my first good trade of the month. I am expecting more as the selling has intensify today. 4) My buy orders for Nam cheong and valuetronics are triggered today. Hopefully, they can turn into my second and third good trade for this month. 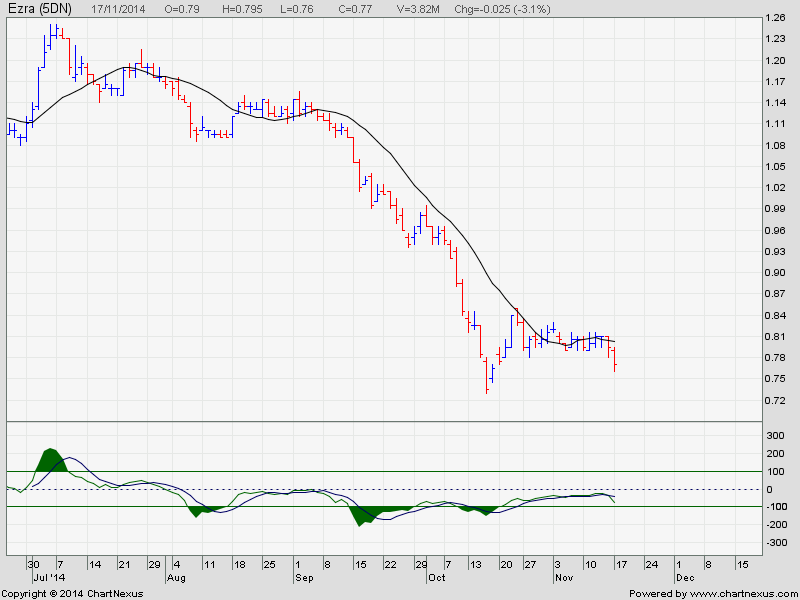 Ezra had reversed to uptrend. 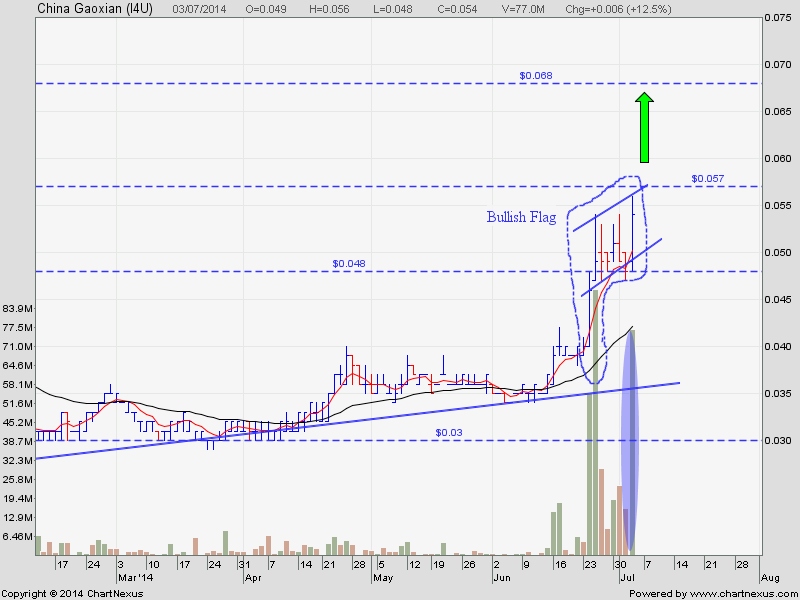 BBs have started to accumulate it since 29/05/2014 with heavy buying in the last 3 days. There is a resistant at $1.26. Watch out for Blumont and Medtecs Int. They are going to move soon.